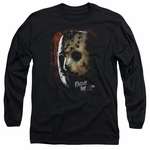 This Friday the 13th tall shirt features a close-up image of Jason Voorhees' iconic hockey mask. 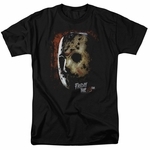 Jason Voorhees is one of the most recognizable characters in cinematic history. 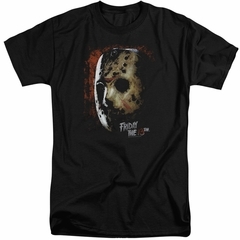 Show that you are a fan of the Friday the 13th franchise with this Jason Voorhees Friday the 13th t-shirt! Buy yours today!